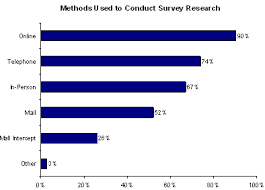 Why Do Companies Buy Cheap Market Research? I agree with Edward that cheapness is missing the point with regard to market research. The issue is value or perceived value in most cases. This is why management consultants are able to command such high fees when they often re-package research and simply present it in a way that is more strategic and digestible for senior management. I have always found research budgets easy to come by when I have been able to demonstrate a clear link with sales or costs. Linking insights to marketing strategy is essential for any client-side researcher and being visibly part of this process is critical for raising the perceived value of insights. However, I can also identify with the sentiments expressed by Reg Baker. From my experience in financial services I have observed a number of situations that can encourage cost to override the quality of data, whether this is for a small qualitative research or a larger quantitative research study. Rosters that are established with too much emphasis on cost savings and not enough weight given to building relationships rarely achieve their aims. The result is a bureaucratic straight-jacket and wastes a lot of time and money. You end up with fewer suppliers and agencies are forced to reduce unit costs. However, this simply encourages agencies to offer a skeleton service. Anything not explicitly included in the proposal is then charged as an extra. Given the need to show savings it is then difficult to justify any increase in budgets to cover extras that might improve data quality. This strategy for saving money is essentially counter-productive. I don’t mind cost challenges, it’s a fact of commercial life. However, random cost challenges where management ask for cost savings after the agency has been selected can have dire consequences for complex studies. This sometimes happens because marketing managers perceive research as an easy area to cut as they don’t see a direct link to short term business goals. Some managers also see research as a commodity and don’t appreciate that sudden cost reductions will be made by sacrificing sample size or other factors that may ultimately affect data quality. Some companies are generally obsessed with cost reductions. Such companies are so focused on costs that added value functions like research are treated the same as any other cost centre. This means that procurement expect research departments to use methods such as online auctions for competitive tenders. This again is treating research and data as a commodity and assumes everything including insights can be measured. When Global Head Offices impose a standardized survey across all their markets there is a big risk that such research will not be fit for purpose in many countries. I’ve seen this in the UK where the unique characteristics of the UK market are not taken into account by the Global HO. This means that local management do not buy-in to the insights and the study is seen as a necessary evil. One consequence is that quality of data is not seen as a priority. There are lots of other situations that I could mention where cost is seen as more important than the quality of data, but most derive from a lack of appreciation of the potential value of insights. The key take out is that we recognize there is a problem and we put strategies in place to deal with it. From a client-side perspective it is a constant process of stakeholder management, and building relationships with suppliers. However, the best way of demonstrating the value of insights is to deliver data that is actionable and clearly assists management in meeting their set targets and goals.